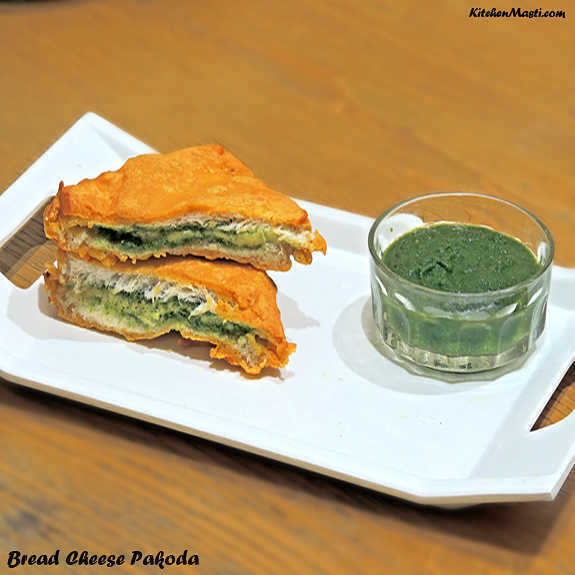 Bread cheese Pakora is a yummy tea time snack which could be prepared in a nick of time when guests turn up at your house. It is spicy and I am sure that this Indian cheese bread pakoda recipe would make you crave for it once tasted. 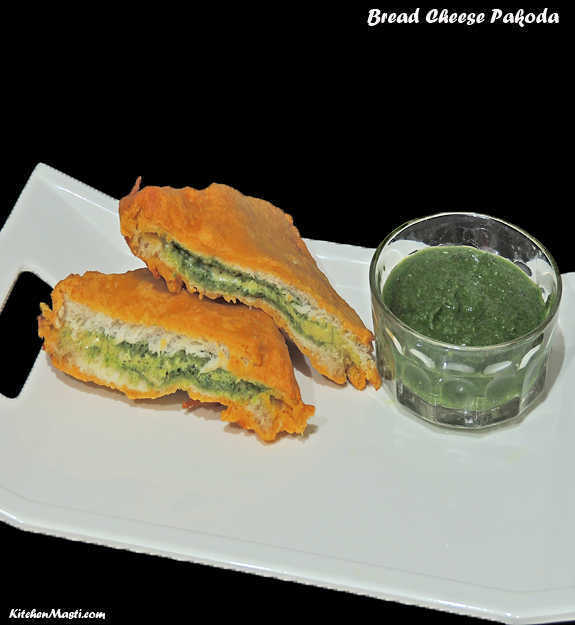 Here, in this recipe, we stuff bread with cheese and green chutney and dip it in a batter and deep fry till it turns crisp. It is purely a junk food and I am sure your kids would go head over heels for it. As you all are aware of the fact that bread tends to consume more oil when deep fried, it is better to restrict the intake. How To Prepare Stuffed Bread Cheese Pakora. 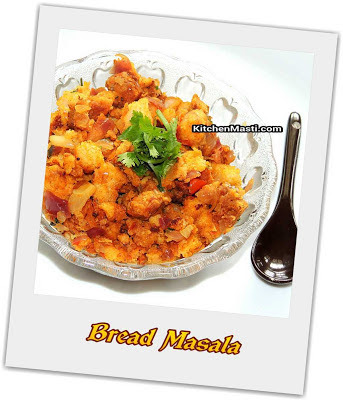 The time taken to prepare this stuffed bread pakora recipe is around 20 minutes and the quantity mentioned here is enough for 2 servings. Stuffed Bread Cheese Pakoda Recipe Ingredients. 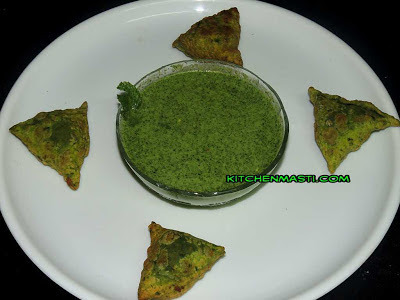 Green Chutney - 3 tbsp. Chick flour ( besan ) - 1 cup. Rice flour - 1 / 2 cup. Ajwain ( carom seeds ) - 1 / 2 tsp. 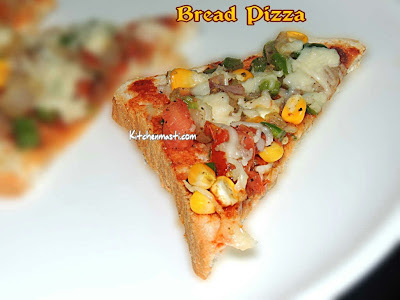 Method To Make Stuffed Bread Cheese Pakoda. Add besan, salt, red chilli powder, ajwain, rice flour and asafoetida in it. Mix roughly around 1 / 2 cup of water and prepare a batter without any lumps. Meanwhile heat a deep pan or kadai with oil in it. Trim the edges of the bread and cut into triangles. 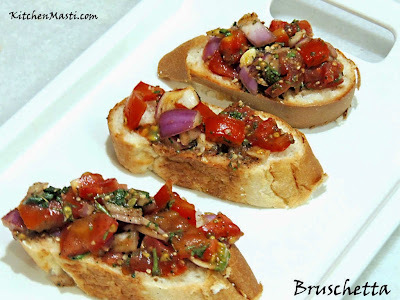 Place a bread and spread green chutney all over it. Spread the green chutney once again over the cheese. 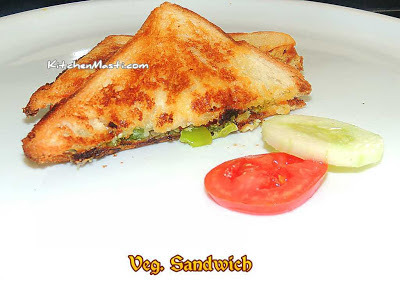 Dip the sandwiched bread in the besan flour batter and deep fry it in the oil. Flip the bread on to the other side till it changes its color. Place the cheese bread on an absorbent tissue paper to remove the excess oil. Your cheesy and spicy bread cheese pakoda is ready to be served!!! See to it that the besan flour is not too watery. Be careful while adding the water. Here, in this recipe I have not added baking soda to the batter but you may opt for it. I have used cheese slice in this recipe but you may use processed cheese also. You may use brown bread also for the recipe. Do not over fry the bread or else, it may consume more oil.